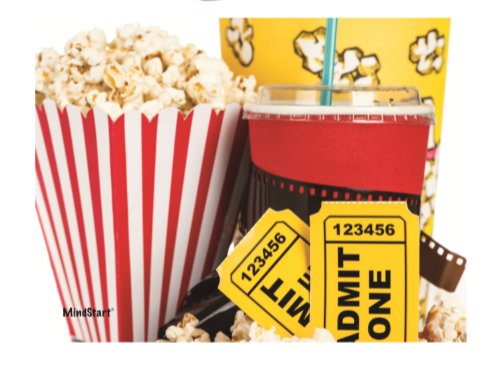 'At the Movies' puzzle has an image sure to start conversations, plus bold, distinct colors and large to handle pieces, making it a simpler puzzle to set. 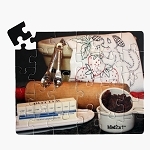 This adapted puzzle is 8.25" X 11" when completed. 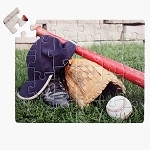 It is made of a thick, durable chipboard to stand up to repeated use. 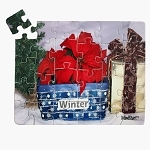 Therapist Tip: Jigsaw puzzles stimulate the brain by using the skills of matching, problem solving, visual skills, and coordination of the fingers. 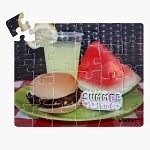 They also can spark memory and conversation through the image depicted on the puzzle. 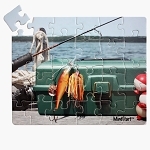 MindStart puzzle products are a form of therapy for adults with Alzheimer's or other forms of dementia, head injury, Parkinson's, stroke, or frail elderly who tire easily. 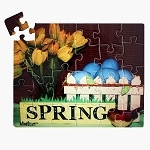 Also, the large size of the puzzle pieces help seniors with vision loss to easily see and handle the pieces. 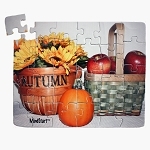 The At the Movies puzzle can stimulate conversation about favorite movies, actors/actresses, or favorite movie time treats.